1. Record the payment in QuickBooks Online by going to the Receive payment page. You can do this several different ways. Using the keyboard shortcut CTRL + ALT + R from anywhere in your company file gets you to this page. 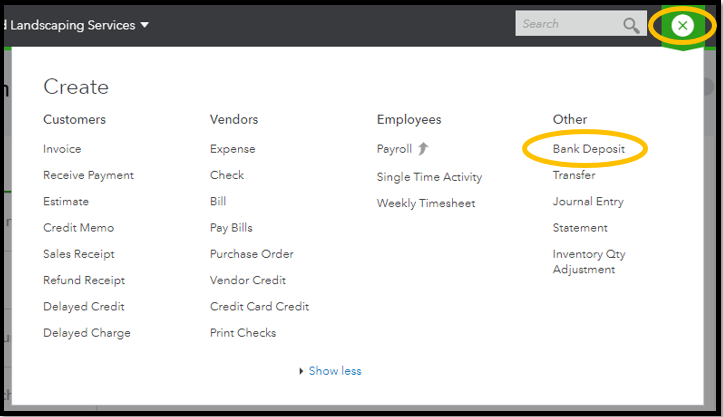 You can use the Quick Create option and select Receive Payment from the Customers column. You may also select the Sales tab on the left side of the screen, then the Customers tab at the top, and then next to the customer's name select Receive payment. Finally, you can also use the steps listed immediately above, select the customer's name, use the New transaction drop-down list, and select Payment. 2. Complete the Receive payment form. Select the customer if it is not already auto-filled, select the payment date, payment method, and reference number. 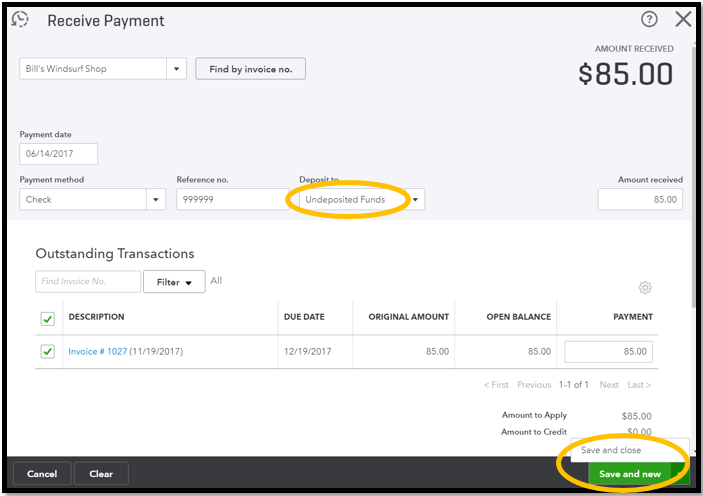 Select Undeposited Funds in the Deposit to field. This is critical for this process. 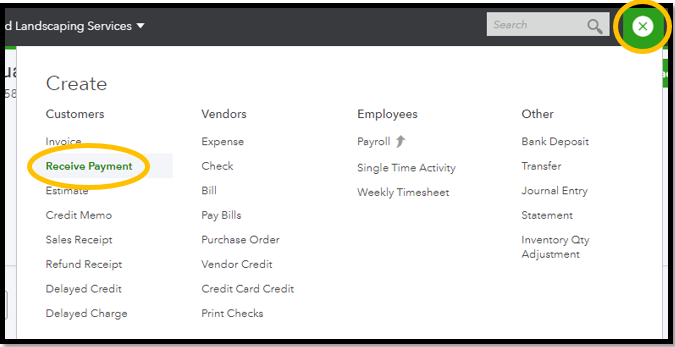 Select the invoice that was paid and depending on whether or not you have more payment to process, select Save and new or Save and close at the bottom right corner. Enter as many payments as you deposited to the bank. 3. 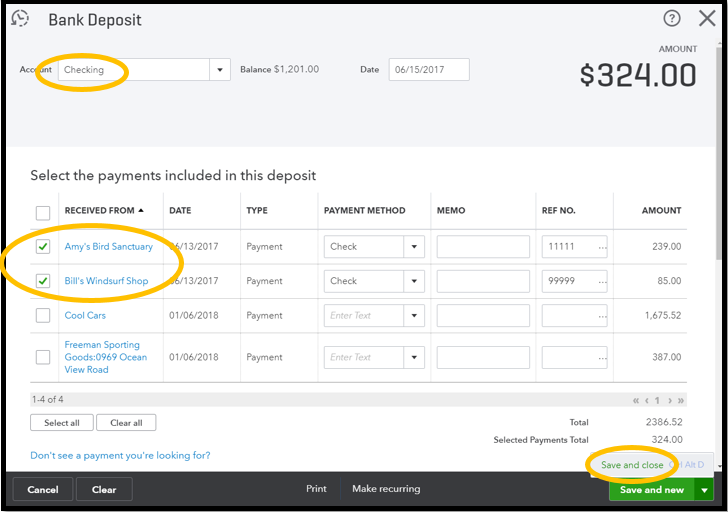 Use Quick Create to select Bank Deposit listed under Other. 4. Select the bank account to which you deposited the payments. Select the payments you just processed, which should total the amount you deposited into the bank. Once you have verified that the numbers align, select Save and close to finalize the bank deposit.